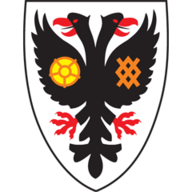 Goals from Daniel Powell and Benik Afobe earned MK Dons a 3-1 win over AFC Wimbledon in the Capital One Cup first round. 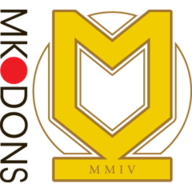 The old Wimbledon FC were renamed MK Dons in 2004, a year after relocating 56 miles to Milton Keynes, and this clash was just second time the fierce rivals have met since. The first was in the second round of the FA Cup in December 2012, with MK Dons scoring an injury-time winner to progress 2-1, but it was much easier for the hosts on this occasion. Defender Kyle McFadzean grabbed his second goal in as many games for his new club after 19 minutes, flicking in Danny Green's corner at the near post. Powell doubled MK Dons' advantage after 49 minutes, firing past James Shea from the edge of the box, before Arsenal loanee Afobe coolly slotted home to make the game safe with 14 minutes remaining. Matt Tubbs scored a last-minute penalty, after being tripped by McFadzean, and it sparked a pitch invasion by the visiting fans but it was too little, too late.